I'm not a designer, but the practice guides my thinking. I've always appreciated logos that have a deeper meaning so I wanted to do the same. Here's the thinking that has gone into the current design that serves as a trigger to pray and focus on these areas of my life. If it's not obvious, I'm using the metaphor of the woods to go along with my last name. You can't have a forest with just one tree, right? The choice of evergreens over something like an oak was difficult, but supposedly an old Scottish family seal had a saying that translates to something along the lines of "The Forrest shall live as long as the trees are green." So, the evergreen made more sense to tie back to heritage. At first, I thought three trees looked nice, but I expanded them to five because there are some really smart people out there who talk about the importance of finding the five things that make up your core values. The following is what I came up with after a lot of walks through the woods. I began them all with "F" for the mnemonic effect. Faith is what drives me and gives me purpose. It's the tallest of all the trees. Family is my greatest gift and source of happiness. Friends are what drive my social and intellectual goals. This value connects me to others. Fitness is a reminder that good health is important. Finances has always been a theme in my life. It's the gateway that helps me serve others and has such a connection to career aspirations. Motivational speaker Gail McWilliams once said, "You are not stuck. You are positioned." No one signs up to be a pawn, yet being a pawn describes how so many people feel —stuck with limited options only to be sacrificed. When it comes to the game of chess, the two most important pieces are the king and queen yet neither of them can make a move until the pawn boldly steps forward. May the perspective of your position be renewed each day to find purpose and meaning in what you do and may your sacrifice be for a king worth dying for. 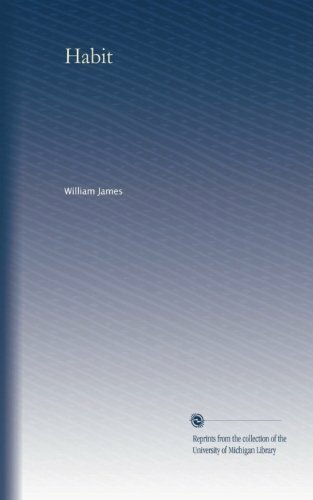 American philosopher, psychologist, and physician William James is considered one of the most influential people on American psychology. In 1887, he published Habit, which is a fascinating historical perspective on the science of habits. Among his many observations, there was one that stood out to me that undoubtedly has its impact on social injustices and interpersonal relationships. If the period between twenty and thirty is the critical one in the formation of intellectual and professional habits, the period below twenty is more important still for the fixing of personal habits, properly so called, such as vocalization and pronunciation, gesture, motion, and address. Hardly ever is a language learned after twenty spoken without a foreign accent; hardly ever can a youth transferred to the society of his betters unlearn the nasality and other vices of speech bred in him by the associations of his growing years. Hardly ever, indeed, no matter how much money there be in his pocket, can he even learn to dress like a gentleman-born. The merchants offer their wares as eagerly to him as to the veriest swell, 'but he simply cannot buy the right things. An invisible law, as strong as gravitation, keeps him within his orbit, arrayed this year as he was the last; and how his better-bred acquaintances contrive to get the things they wear will be for him a mystery till his dying day. Today's science has proven that our brains yearn for habits as a means to conserve cognitive energy. From the things we do to the things we believe, our minds create habits and beliefs that cannot easily be untaught. In fact, most psychologists will say that habits cannot be unlearned, but only replaced. To see changes in social injustices around the world or with existing interpersonal relationships, a study on the habitual thoughts and actions of all parties may be key to finding a solution. As James says, habits are a gravitational force that keep us within our own orbit. To escape such forces usually requires proper motivation, ability, and patience through well planned actions. May you learn to see the same people each day, newly. Micah, one of the minor prophets spent a lot of time with people who lived in conflict with the Lord's instructions. In his calling from God, Micah continued to preach and warn the people against the way they were living. As is the case with most of the minor prophets, the people did not listen. Their evil continued to increase. Just as it was for Micah, it is easy for us to become frustrated with long term relationships and the environments where they exist. Enduring long spans of frustration or experiencing recurring moments of what we feel like may be an injustice can take its toll on our morale. Like Micah, we want what we do to provide meaning and purpose and we want our work to bear the fruit we desire —or as long as it's good. For Micah, his perspective on a frustrating work is something we should all be reminded of on occasion. May your patience endure with your injustices as you continue to hope in the Father and the Son. 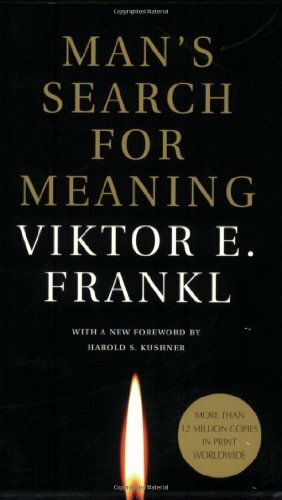 Holocaust survivor, Viktor Frankl, reflects on his Auschwitz experiences during WWII in his book Man's Search for Meaning. His reflections are enlightening. "And as we stumbled on for miles, slipping on icy spots, supporting each other time and again, dragging one another up and onward, nothing was said, but we both knew: each of us was thinking of his wife. Occasionally I looked at the sky, where the stars were fading and the pink light of the morning was beginning to spread behind a dark bank of clouds. But my mind clung to my wife's image, imagining it with an uncanny acuteness. I heard her answering me, saw her smile, her frank and encouraging look. Real or not, her look was then more luminous than the sun which was beginning to rise. A thought transfixed me: for the first time in my life I saw the truth as it is set into song by so many poets, proclaimed as the final wisdom by so many thinkers. The truth-that love is the ultimate and the highest goal to which man can aspire. Then I grasped the meaning of the greatest secret that human poetry and human thought and belief have to impart: The salvation of man is through love and in love. I understood how a man who has nothing left in this world still may know bliss, be it only for a brief moment, in the contemplation of his beloved. In a position of utter desolation, when man cannot express himself in positive action, when his only achievement may consist in enduring his sufferings in the right way -an honorable way-in such a position man can, through loving contemplation of the image he carries of his beloved, achieve fulfillment. For the first time in my life I was able to understand the meaning of the words, "The angels are lost in perpetual contemplation of an infinite glory." May marriages everywhere teach us to love in the same way we have been loved by the one whose image we all bear. Aug 15, 2016 How Many Customer Interviews Should I Do?